Plum Tucker is our local and we just can’t speak highly enough of the quaint cafe. They provide exceptional service, great coffee and a variety of food including healthy and gluten free options, all situated in a vibrant yet laid back atmosphere. Owners Matt and Kate explain why they opened the Plum Tucker: We decided to open a cafe for two reasons. Firstly, because we love interacting with people. We want to share that love with our local community. We want to provide not only a service, but start a friendship with everyone that walks through our doors. Secondly, we love food. We love creating dishes from scratch and we love to know where our food comes from. We decided that if we were going to open a cafe, we would find the best produce and share this with our customers. 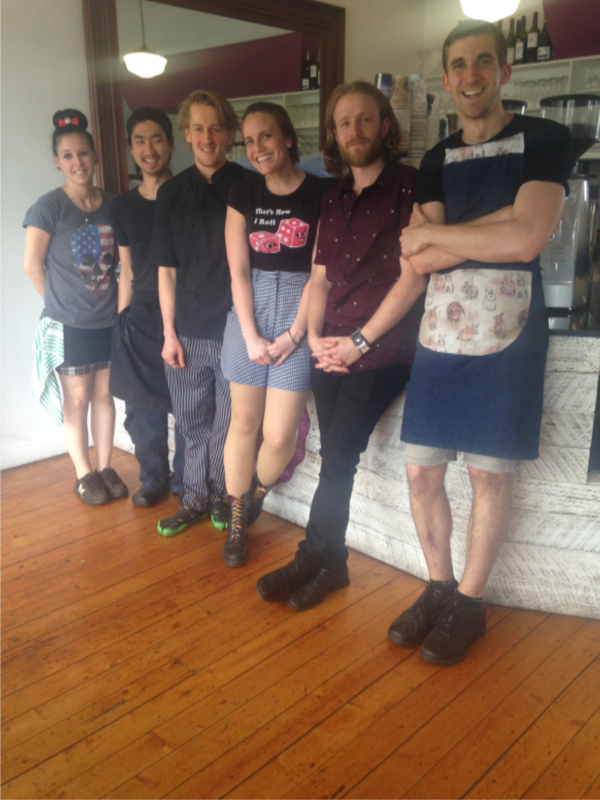 We look forward to meeting you and sharing our dreams and passion for good food, delicious coffee and stellar service. And did we mention it’s dog friendly? So head down today with your furry friend and grab our favourite, the delicious BLT!